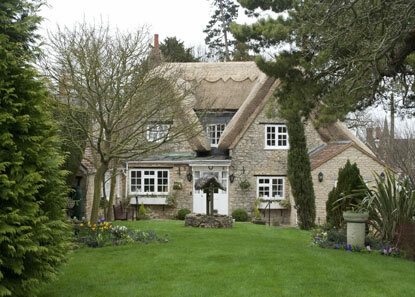 Straw Master, Paul Reading has developed a method of roof thatching that gives aesthetic character and long lasting thatch. In some instances water reed is still in good condition after seventy years, although rare, it is quite normal for a reed roof to last over fifty years. Through the energy of the sun and our human toil, we can produce a roof with good insulation properties, using materials grown naturally, with all the ecological benefits expected. There are Many Misconceptions regarding living and caring for a thatch, we hope the information within our site will help develop a better understanding of the subject. As the popularity of living in a quintessentially English Thatched property has increased, so has the ability of these properties to hold and increase value. 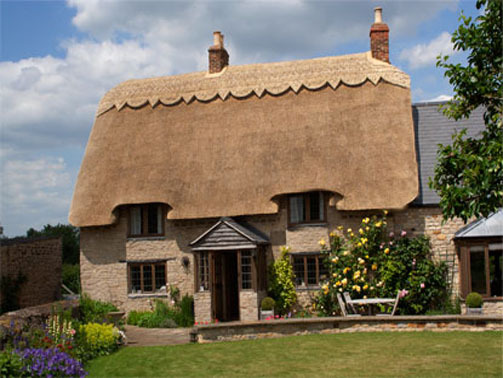 As modern techniques are developed it is common for a thatch to last many decades, and with some careful care along the way, will provide a comfortable safe home for your family to cherish through life. When one lives in a thatch it becomes more than just a building, as people walk by a newly thatched proper they stop to admire the craftsmanship. At StrawMaster, Paul Reading our Master Thatcher have served their communities, in some cases over several generations, and we are so confident with our materials and standards that we guarantee our work for ten years. In many instances our clients roof thatching has remained in good condition for many decades.